Orphan Black is a very enjoyable show featuring an actress giving a unique and all-world performance. I’ve talked about it before and I look forward to discussing the ins and outs of the current season in an End of Season Report in a few weeks. Now, though, a random point about Orphan Black that is apparent to me in almost every minute of the show, but maybe not to anyone else. Over my many years of watching TV, but particularly the last five or so when I’ve turned a dangerous level of watching TV into a dangerously obsessive lack-of-Vitamin D level of watching TV, I’ve started to really hone in on watching for where a show takes place and where a show is filmed. This came about mostly due to my personal distaste for shows set in NYC filming in LA, and I’ve become excellent at spotting shows that actually film in NYC and those that don’t. Some shows prominently feature their location, whether they’re set there or not. 30 Rock was all about the NYC, but so was How I Met Your Mother which was clearly shot in LA. In some shows, the setting is largely in the background, but usually you can figure out what it is, either because they actively say it at least a couple of times, or just due to background factors, names of locations and streets, either that are actually in the background, or that characters say are in the background to make it feel like the show is set there. 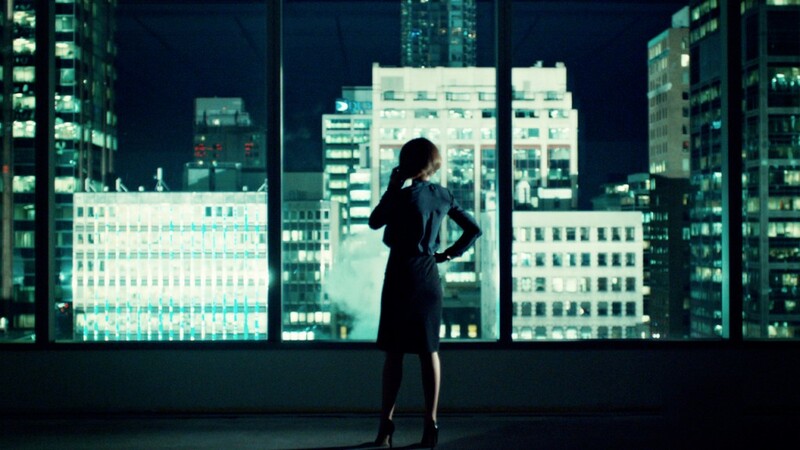 Orphan Black, though, features absolutely none of that. From day one, I tried to figure out where it was supposed to be set; and the harder it became to figure out, the more intensely I tried. Early on, I suspected, correctly it was filmed in Toronto, which was quickly confirmed, and not having found any information to the contrary, I started looking for signs that the city was supposed to actually be Toronto (not that I know Toronto so well, as much as I knew it was a BBC America production co-produced by Canadian television, and odds were it was either Vancouver and Toronto from that point). In fact, the lack of obvious location early on made me think the show took place in the near future rather than the present, from just how it seemed to be set in “the city” rather than any one real place, giving it even more of an air of science fiction. Toronto, it must be, I figured. I looked everywhere for blatant evidence it had to be. It was never mentioned in the script but I looked deeper. The police uniforms or the department building? Nothing. In fact, it started to be strange that people weren’t mentioning it; as if they were altering their speech in odd ways to avoid ever saying the city they were in. I thought I might be crazy at one point, but it turns out this was a conscious decision, even if no one probably cared quite as much as I did about it. This interview, which I finally found, after I thought that the secret was still there but that I would never find it, illuminated the fact that it was a decision to avoid alienating Canadian or American audiences, which is noble, but still a little bit strange to me. It feels pretty sci-fi at least. Still, I’m glad the mystery is solved. You can’t elude me, TV, at least about locations. Try again.